Anyone who has an email account probably receives hundreds of marketing emails a day. However you, the marketing professional, may want to look at these email marketing campaigns a little closer. They may provide valuable lessons that you can incorporate into your own practices to improve yourself and your work. What do the best email marketing campaigns all have in common? This post will give you a run down of tactics used by some of the best email marketing campaigns so that you can benefit from them as well. If you want to create marketing emails that get opened, make sure to send them from a person, not the business. This person can be real or imaginary, it does not matter. What is important is that you use a name. This makes readers feel more obliged to open the email. It piques their curiosity. 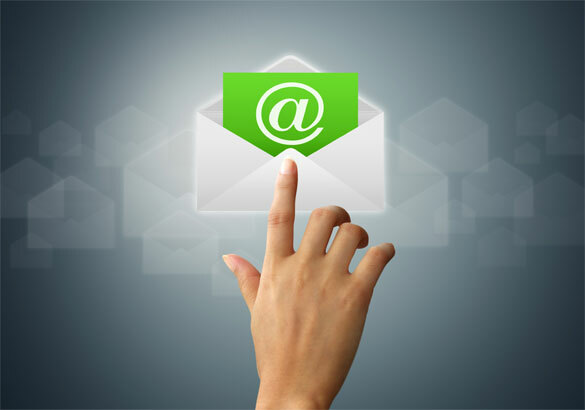 Personalize your email marketing accounts by giving them a real name. This is trick used by the best content marketing agencies that is sure to improve the performance of all future email marketing campaigns. The simplest way to improve future email marketing campaigns is to do your best to ensure that the person receiving them will actually read them. In order to do this, send your emails at late hours, specifically between 9:00pm and midnight. Research shows that emails sent during business hours are less likely to get opened, so avoid that trap and email later. Another good time for you to implement an appropriate delivery service of your email marketing campaign to be sent out is during the weekend. Studies show that emails sent on the weekend are more likely to be read than those sent during the weekdays. Keep this timing in mind when planning for your next email marketing campaign. You are going to want to build up a relationship with your readers, just as you would with local marketing tactics. Do not just send them an email when you want them to buy something. In order to do this, you need to make sure that you keep in touch with them more than once a year. Make sure not to email too frequently, but scheduling a marketing email once a week or so just to keep your company in their memory is a great idea. Use marketing emails as a way of building and fostering relationships with your client base, not just as a sales tactic. Of the hundreds of marketing emails you receive a day, think of how many you actually open and why that is so. Your answer probably has something to do with the email’s subject line. The subject of your marketing email is your one shot at grabbing the reader’s attention. The shorter the subject of your email is, the more likely the reader is to open it. So keep it short and simple. Want another tricky tip to get their attention? Make the reader feel special, mention a secret offer or special invitation. They will probably be more likely to take a closer look if they associate the email with exclusivity, just like they would with custom packaging. Now that you’ve improved chances of your email marketing campaign actually being viewed, your next step is to get the reader to click through to your website. The best way to do that is to ensure that you are offering something new or different that engages their curiosity. This practice is one that would be used by any digital agency you would hire. Readers will be more likely to actually read through the email’s entirety if something catches their eye. Pictures are of course a great way to do that, but going that extra step further to think outside the box will improve chances the reader will go on to your website. A gif or animation of some sort could be an option. Put your creativity to use and include some uncommon feature in your next marketing email campaign and you could improve its success. The chances of a reader actually reading completely through your marketing email decrease as the length gets longer. People value delivery of information that is short and to the point. This is one area where less is definitely more. Keep the information in your email contained to brief statements. This will increase the odds that an interested reader will click through to your website to find out more and increase business trust. It will also increase the likelihood that all the readers that open the email will read through to the end. Keeping things short and neatly organized will help make your email marketing campaign perform to the most lucrative extent possible. These are just a few of the characteristics that some of the best email marketing and email monetization campaigns have in common. Now that you have learned the importance of timing, creativity and brevity, you can incorporate these aspects in the next email marketing campaign you manage. Put these tips to use and you may soon find your work joining the list of the best email marketing campaigns to date.